Take the same tools the WTOC First Alert Team uses with you anywhere you go. Download the WTOC First Alert Weather app today for real-time interactive radar, location-based severe weather alerts and a constantly updated forecast where ever you go. Explore the app using the links above, or download the WTOC News App using the link below. Content from WTOC First Alert Weather directly on your phone. Precipitation alerts, notifying you of heavy rain within 5 miles. 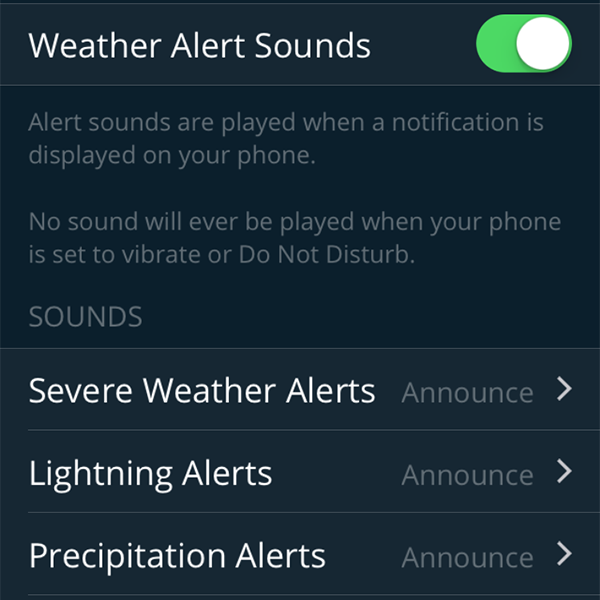 Custom alert sound options for severe weather, lightning and precipitation. 250 meter radar, the highest resolution available. Future radar to see where severe weather is headed. High resolution satellite cloud imagery. Current weather updated multiple times per hour. Daily and Hourly forecasts updated hourly  from our computer models. Ability to add and save your favorite locations. A fully integrated GPS for current location awareness. Severe weather alerts from the National Weather Service. Opt-in push alerts to keep you safe in severe weather. WTOC's First Alert Weather app is your go-to for all the latest weather information where you need it, when you need it. With our new, exclusive, "My Alert" technology, our weather team can send you customized weather alerts and videos depending on your location. The best part is our station alerts are completely customizable. 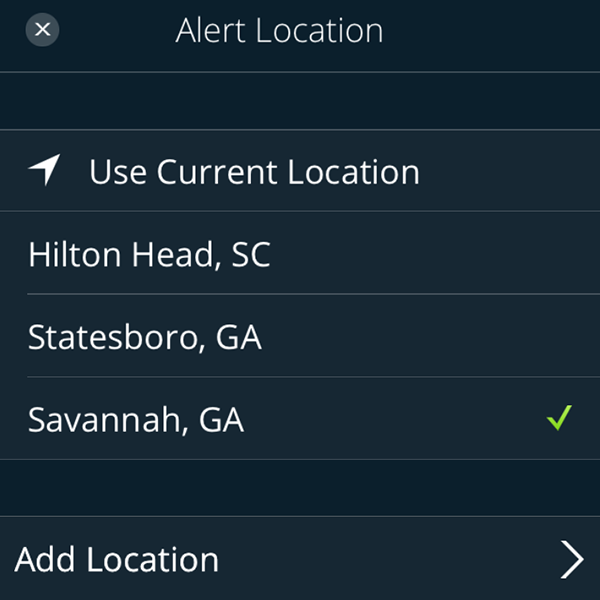 The First Alert Weather App gives you the ability to set your alert location to either "Current Location" for the latest alerts based on your current GPS location or to manually set it to a predefined location. Tap the menu button in the top right hand corner. Tap on the "Settings" or gear icon. Select "Use Current Location" or a predefined location. If no predefined locations a present tap "Add Location" then search for your desired location by City, Zip or Airport Code. Turn on and off individual alerts. Get the alerts you want and only the alerts you want with the First Alert Weather App. Toggle the alerts using the toggle switches on the right hand side of the screen to activate or deactivate alerts by type. Not only can you customize which alerts you receive, you can customized how you are alerted. Select the alert you wish to customize. Select the alert sound you would like to activate. For verbal alerts select "Announce". 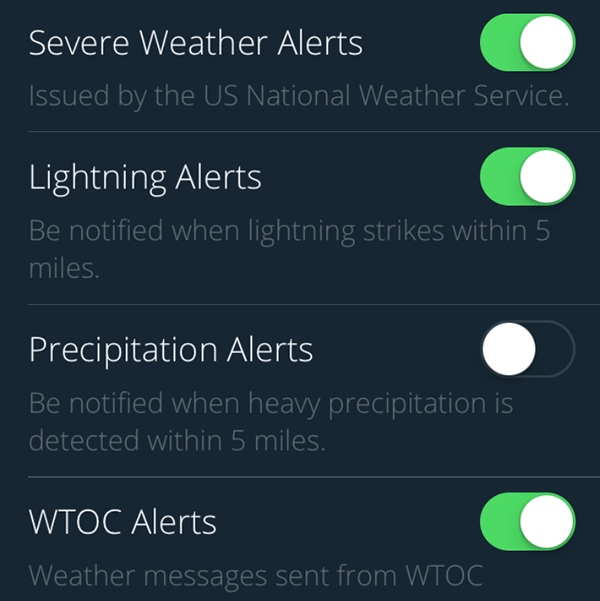 Registering for Severe Weather Alerts in the WTOC First Alert Weather App keeps you up to date and safe in even the most severe weather. National Weather Service alerts keep you safe with over 40 different watches and warnings. Alerts include Flash Flood, Hurricane, Tornado, Severe Thunderstorms and more. Stay safe and be alerted ahead of the storm. Featuring lightning alerts up to 100 miles from WTOC. GPS pinpoints your location and alerts you to lightning within a 5 mile radius. Once you receive a lightning alert you won't receive another for 10 minutes. After 10 minutes, any new lightning strikes that meet the conditions will trigger another alert. Keeping yourself dry during a thunderstorm has never been easier. Precipitaion Alerts let you know when heavy precipitation is in your area. GPS pinpoints your location and alerts you toheavy precipitation within a 5 mile radius. 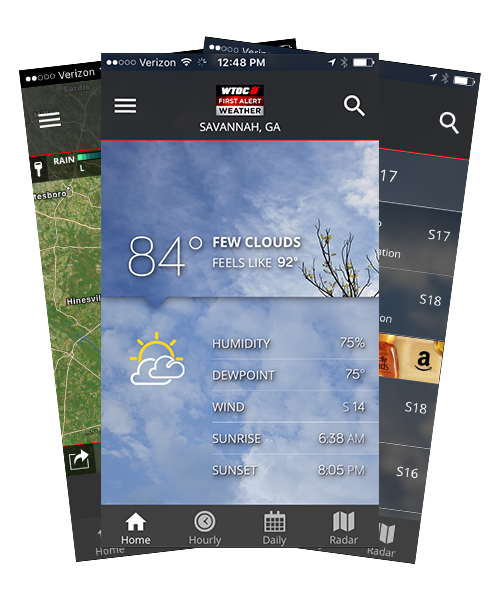 WTOC's First Alert Weather app put's the same tools used by the First Alert Weather Team in the palm of your hands with live, advanced, interactive radar. Featuring live interactive 250 meter radar, the highest resolution available. Interactive animations of past and future data for temperature, wind speed and radar. STORM TRACKS utilizing the most advanced weather algorithms to provide detailed storm information including wind, hail, lightning, tornados, speed and storm direction. Customizable data layers including rain, radar, satellite, temperature, winds, tropical data and sever weather alerts show you only the information you need and want most. See It, Snap It, Send It. 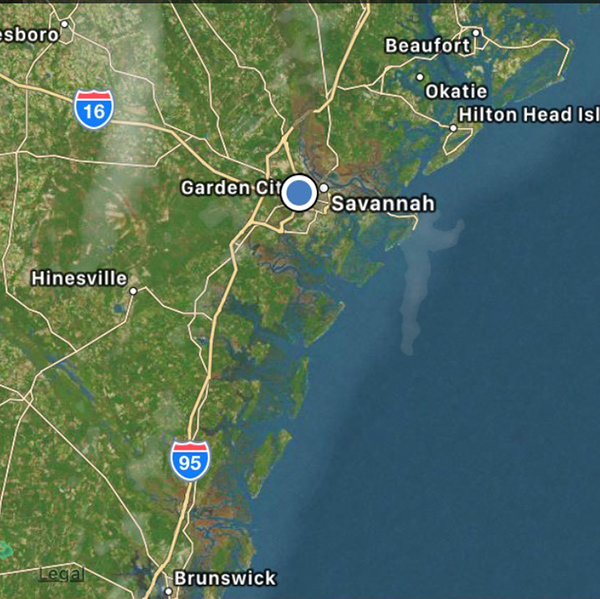 WTOC and the First Alert Weather Team want to see what's happening where you are. No matter what the weather we want to see what you see and now you can share your photos and videos with us directly through the First Alert Weather App. 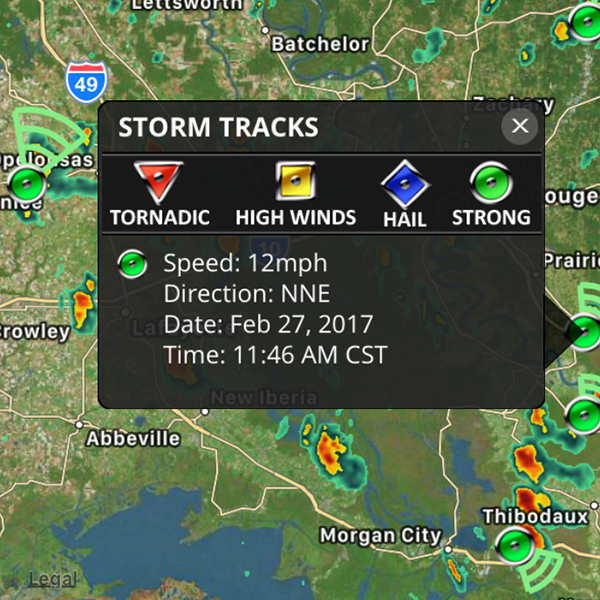 Access live streaming video during local newscasts, breaking news and severe weather right in the First Alert Weather App.